It has been a dream of mine to play at Dizzy’s Club Coca-Cola for as long as I can remember. 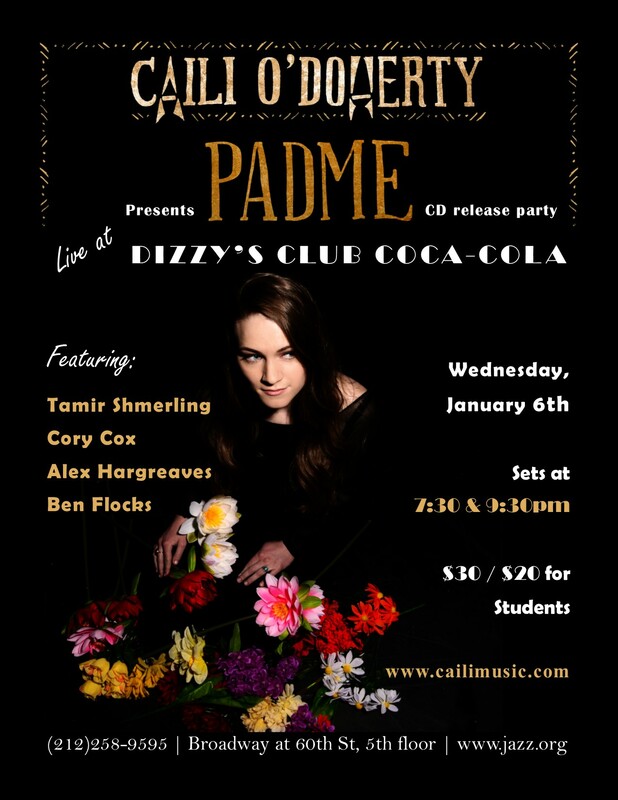 I am honored and thrilled to announce my NYC CD Release party for my debut album ‘Padme’ at Dizzy’s Club Coca-Cola on Wednesday, January 6th for two sets @ 7:30pm and 9:30pm. Please come celebrate with us! BONUS – Sign up for my mailing list at the show and you get a FREE copy of ‘Padme’ included in your ticket purchase! **UPDATE! There is now a discount code for this show. Mention code Dizzys5 at the door and you will get $5 off cover. **Reservations are recommended and can be made by phone @ (212) 258-9595 or in person after 6pm daily at the club. Another nice review of ‘Padme’ from the Rochester City News. 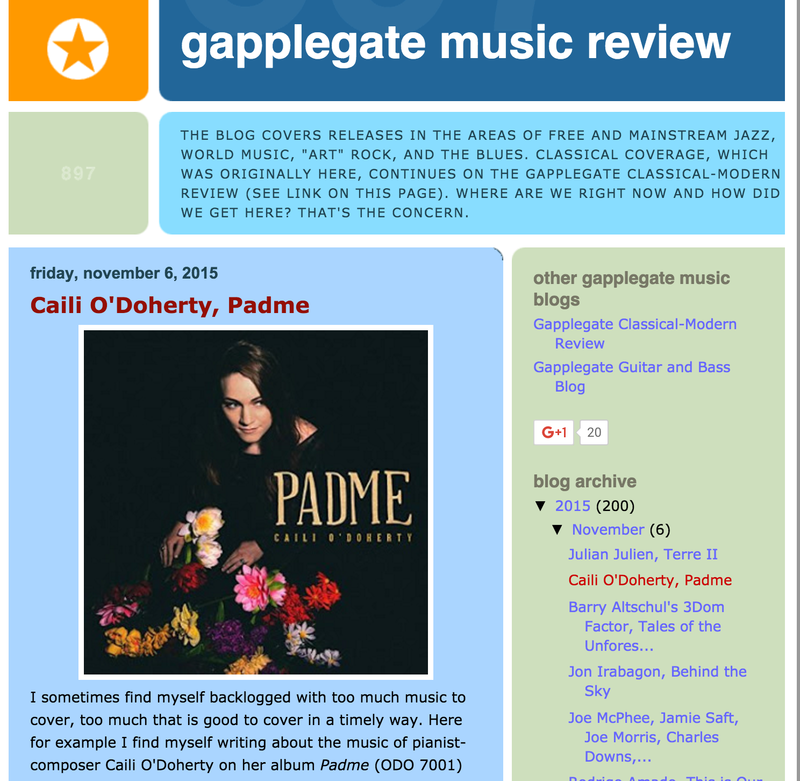 A new review of ‘Padme’ on the Gapplegate Music Review blog. 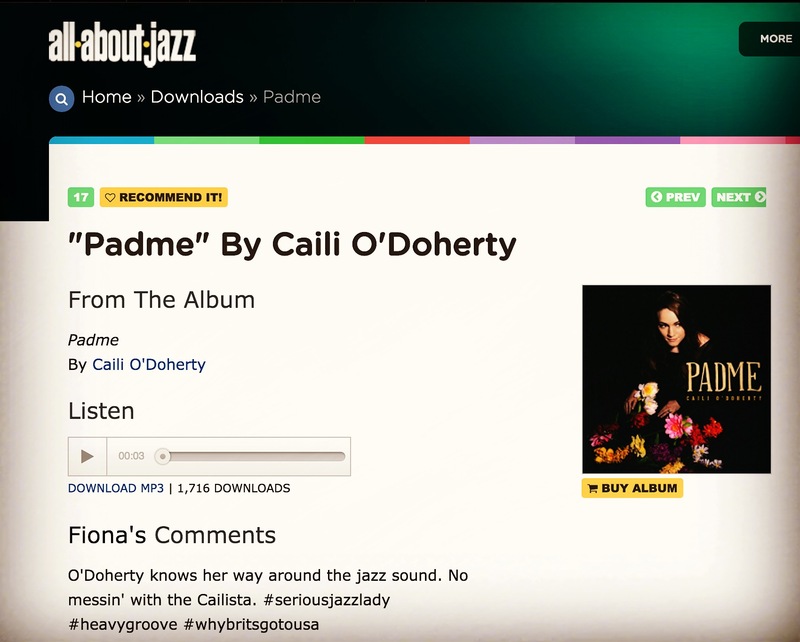 You can download the title track off my album ‘Padme’ for FREE on All About Jazz by following the link below! Excited to announce I’m endorsing Nord Keyboards! I am beyond excited to announce that I’m endorsing Nord Keyboards! I have been using the Nord Electro keyboard for three years and fell in love with it immediately. I have traveled with it to perform and teach in Togo and Benin in West Africa, Colombia, and Mexico. The keyboards mobility makes it easy to travel and perform around the world. The Fender Rhodes and Wurlitzer sounds are unlike any other keyboard I have used in the past. There is no going back for me, I am sold! Musicians and music educators in the Boston metro area, I’m very excited to announce an upcoming masterclass, led by my group, at the West Suburban YMCA Center for the Creative Arts – YCCA in Newton, MA on Friday, September 25th @ 4pm. Admission is $5 for students and $7 for the general public. 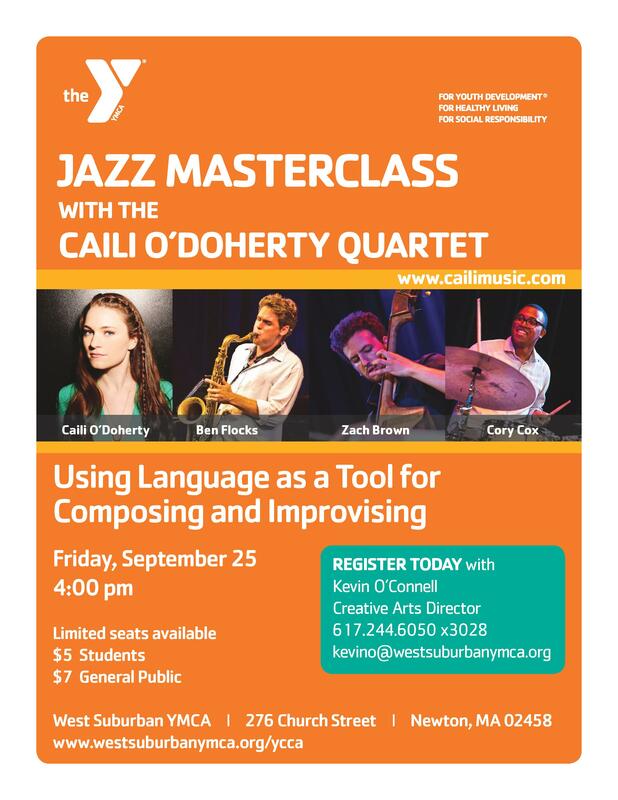 We will talk about how to use language as a tool for composing an improvising. Please share this poster with your students and colleagues and we hope to see you there! The review is way down the page, so scroll to see it. Here is the text of the review if you don’t want to visit the site. 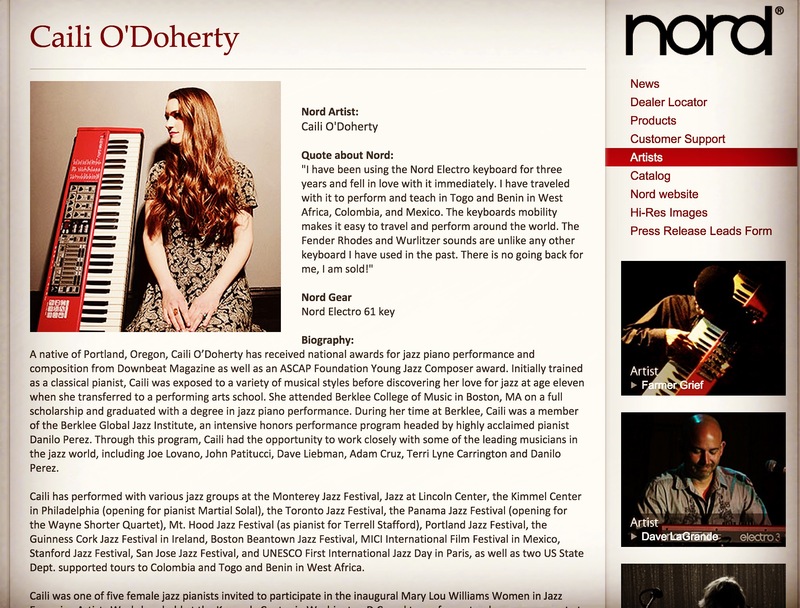 Pianist/composer Caili O’Doherty hails from Portland, Oregon, and reached musical maturity under the tutelage of Danilo Perez and Marco Pignataro at the Berklee College of Music in its Berklee Global Jazz Institute. She has performed in venues around the world bringing her talents to women’s shelters, orphanages and prisons as well as concert halls and clubs. Ms. O’Doherty also teaches in the Jazz at Lincoln Center WeBop program. She has just issued her debut album, “Padme”, on her Odo Records label, not only producing the sessions but also writing and arranging all the pieces. The basic band includes Zach Brown (bass) and drummer Cory Cox (on all tracks but “Prayer Song” where Adam Cruz sits in the chair) with a number of guests throughout the program. Alto saxophonist Caroline Davis joins the band on 4 of the 9 tracks, adding wordless vocals on “Ode to St. Johns” which also features trombonist Eric Miller. The alto saxophonist is the other featured voice on “Stumptown”, a rousing tune that show the influence of Perez in its construction and the playful piano solo. Tenor saxophonist Ben Flocks and violinist Alex Hargreaves play on 3 tracks; along with trombonist Miller, they create a mini-orchestra behind the trio on several tracks including “The Promise of Old Panama City” and the lovely ballad “Prayer Song”. On the latter cut, Flocks’ tenor takes the lead on the melody and then, after a fine bass solo, the tempo picks up and he creates a strong solo statement. Guitarist Mike Bono join the trio on the title track, his rippling phases cutting nicely alongside the rich piano chords. Cox and Brown create quire a fire underneath the soloists. Ms. O’Doherty switches to electric piano on “Rose Baiâo”, a piece that has a Brazilian feel and an excellent melody that opens to reveal strong solos from the leader and Ms. Davis. On “89 Chestnut Street”, one of the 2 Trio tracks, Ms O’Doherty revels in her formidable “chops”, a joyous romp for all involved. 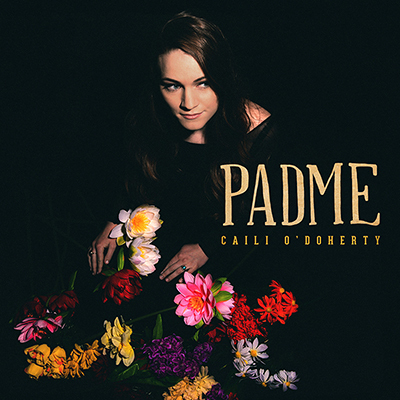 What truly stands out on this recording is the maturity of the melodies, the strength of Caili O’Doherty’s playing and the excellent arrangements. The guests are not for show, they really are part of the songs on which they appear, and understand and add greatly to the “stories” the composer is telling. The rhythm section is such an integral part of this music as well. They listen, they react, they are also equal partners in the success of this endeavor. 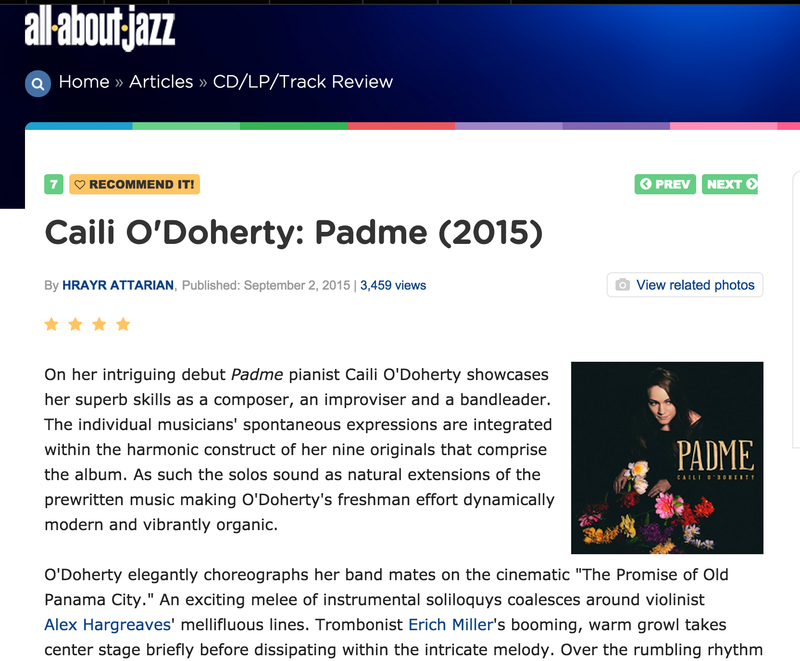 Caili O’Doherty, at 23 years of age, has all the makings of a true jazz artist. Composer, arranger, teacher, soloist, producer and fundraiser, her debut recording circumvents the rules for most new artists. “Padme” has no standards, no covers of rock tunes, no “sweetening” with synths or string sections. Listen, savor and imagine how bright her future will be. 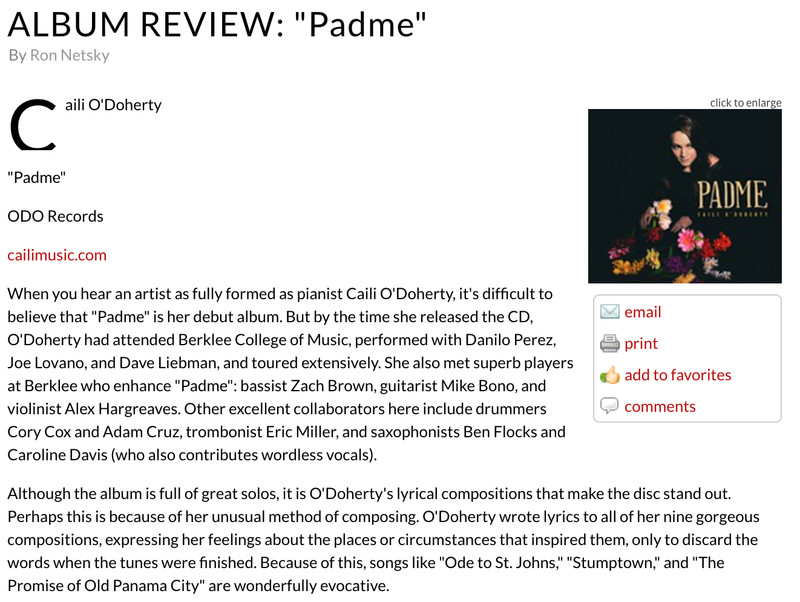 Short but positive review of Padme on Jazz Weekly. 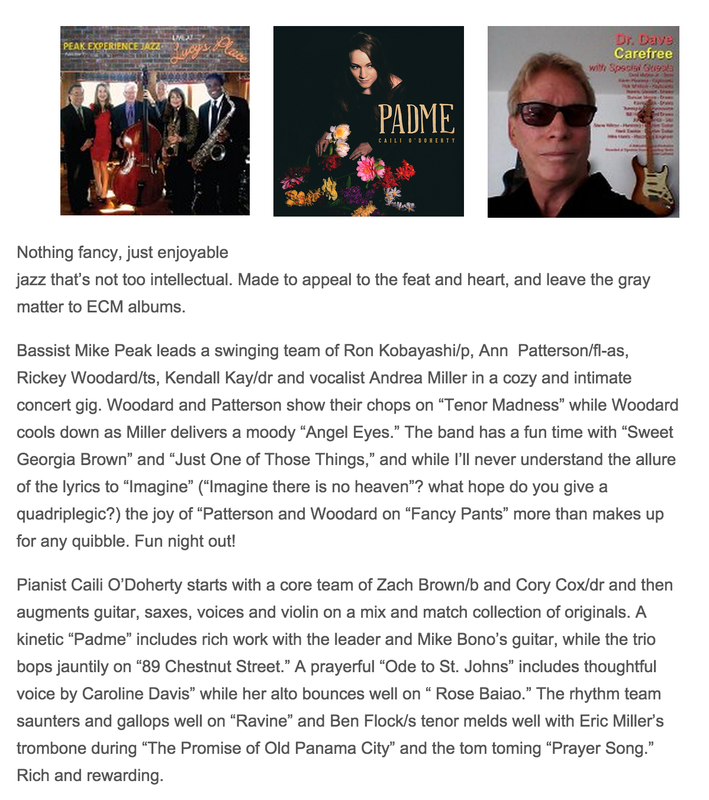 Really nice review of Padme on the All About Jazz website.